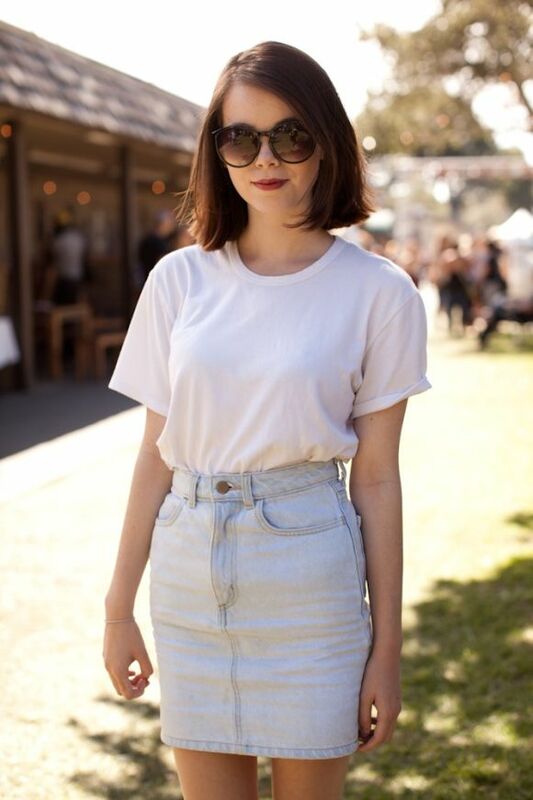 Today we are going to observe denim skirts trend and ways to wear this garment with your everyday essentials. 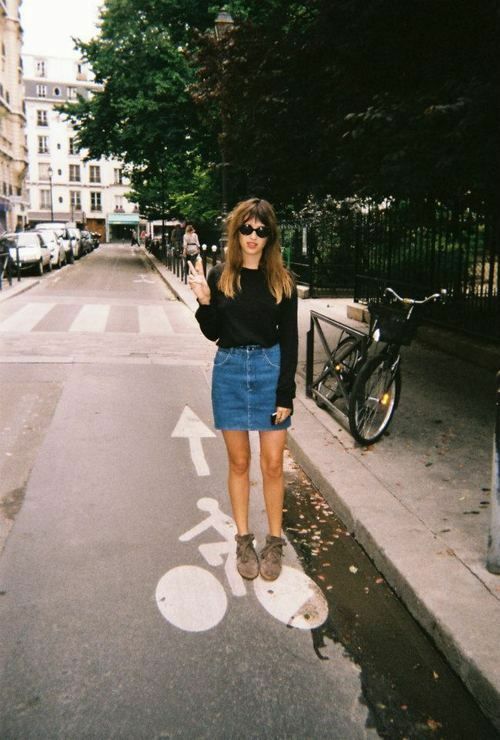 Some say that denim skirt is no longer a trend piece to wear, but in real life everything is vice versa. It's been awhile since we last saw skirts around. Thanks to many trendsetters and fashionistas we see this trend back in our streets. I tell you more, trends is nothing, style is everything. Denim skirt is one of those garments what can be combined with lots of beautiful outfits. We see an awesome dark blue suit jacket with statement buttons worn atop pinstripe shirt tucked in mini jean skirt. Finish the look by adding fringed suede boots. In this collection you are going to find beautiful cuts and designs that look absolutely fabulous: mini, low-waisted, fitted, flared, midi lengths, high-rise, dark or light, fitted or loose, knee-length pencil styles, high-rise ones, ripped, front buttoned, patched, etc. Indeed, there are lots of awesome designs what can be paired with tank tops, high-heels, button-downs, simple tees, crop tops, pullovers, blazers, leather jackets and bombers. It's fair to say - 1990's and 2000's are back! Hope this compilation will inspire you to buy something new.